Welcome to Rawa Island Resort, an idyllic Malaysia tropical island resort popular with families looking to unwind from the stress and strain of modern life. Feel the grains of white, sun-baked sand between your toes as you stroll along the beach. Take a dip in the warm waters of the South China Sea. Enjoy the green scenery. Snorkel along the natural coral reef just metres from the shore. Or simply relax as you watch the sun disappear lazily over the orange horizon. How to get to Rawa Island Resort? Rawa Island is accessible by a 30-minute speedboat ride from Mersing, Johor. We will revert with speedboat departure schedule upon confirmation of your booking. When is the best time to visit Rawa Island Resort? The best time to visit Rawa Island Resort will be in March until October. Does the Package Rates include sea sport activity? Package rates do not include sea sport activities. How long is the boat ride from Mersing to Rawa Island Resort and what are the boat schedule. Do you arrange Night boat departure? Rawa Island is accessible by a 30-minute speedboat ride from Mersing, Johor. We will revert with your scheduled speedboat departure time upon confirmation of your booking. We do not arrange night departure for guests due to safety reasons. Do you arrange baby food? Please be advised that we do not arrange baby food at Rawa Island Resort. If you require baby food storage, you may request with our restaurant waiters accordingly. Is there live music / karaoke on the island? Can you organize party at night? There is no live music and karaoke on the island, the restaurant and bars will play music according to each venue list. Does sea sport activities require island hopping? All sea sport activities will be in front of the resort / surrounding the island. There will be no island hopping involved. What is the water resource drinks at the restaurant? We are using freshwater that is brought from mainland. What is your resort's Cancellation Policy and what is the penalty if we defaulted? The Resort does not permit refunds in full or in part for non-utilized services included in the package. Any amendment to bookings must be made 2 weeks prior to the scheduled check-in date. Only one change of booking date (within twelve months of original check-in date and subject to availability) is allowed. Do you have Baby Cot? Yes, we have baby cot and we provide them free of charge. Please advise us upon booking and enquire at the reception upon check-in. Our private Malaysian island resort offers a range of accommodation options. All rooms are packaged with compulsory board (3 meals daily) and boat transfer to and from Mersing. Additional facilities such as the dive centre and spa are also available. 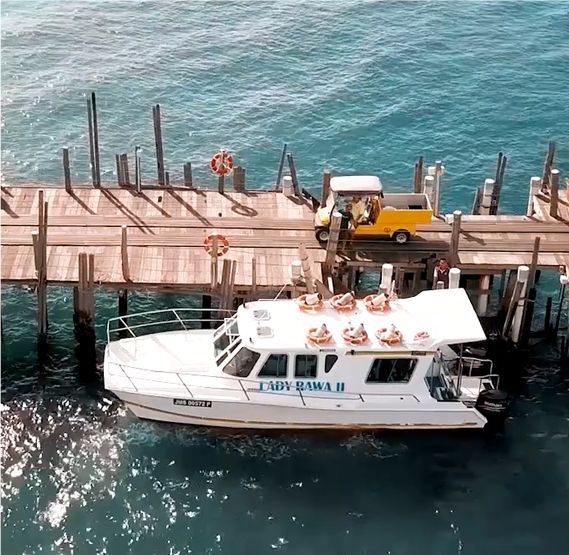 Kindly note that as we are located within the Sultan Iskandar Marine Park, we would like to remind guests that fishing, jet-skiing and littering are activities which are strictly prohibited on the island. By ensuring strict compliance with the marine park rules, we hope to preserve the natural beauty of the island for many years to come. We offer a wide variety of accommodation around the island to cater for families, groups of friends, couples and single travellers. All our rooms are equipped with en-suite bathrooms, hot water, fresh water showers and air conditioning. Our restaurant serves a wide spread of international and local cuisine. 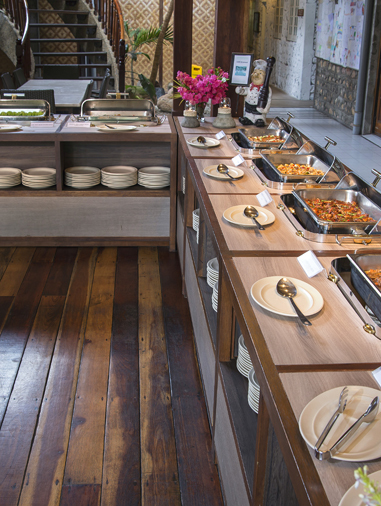 Meals are catered buffet-style three times daily. A barbeque is held in the outdoor pavilion on Saturday nights. Our PADI Five Star Scuba Diving Instructor Development Center has been established in collaboration with Orca Scuba. Did you know, your website is the new store front for your business in the Digital Age? Here's the secret of a successful website: don't create a website for the sake of having one....create a website that helps you generate profits for your business! Truth is, without a professional website, you'll lose customers, market share and erode your brand. This means your competition is taking over your market. That's why you need a professional partner for your website, someone with a proven track record that helps your business get results. Rawa Island is accessible by a 20 minute speedboat ride from Mersing, Johor. While the majority of our guests choose to drive from Kuala Lumpur or Singapore, we are also able to arrange for transport with third party operators to and from Mersing. Secured car parking facilities are available at our Mersing Front Office. The booking office will contact guests a few days in advance of their stay to confirm their scheduled boat transfer time. We would respectfully request that guests leep to their scheduled boat transfer time, in order to ensure prompt service for all guests to and from the island.